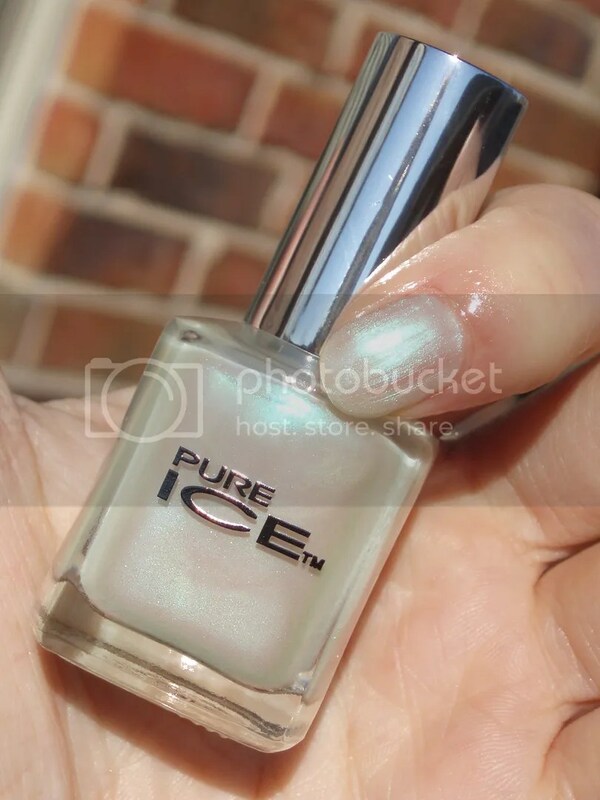 Here’s another shade that’s being discontined by Pure Ice. Get them while you can still. I think I need another bottle of this one for sure. Not sure why it’s being discontinued since it’s such a pretty shade. I do know for a fact that the new shades they’re releasing are awesome. I’ll feature them next week or so. 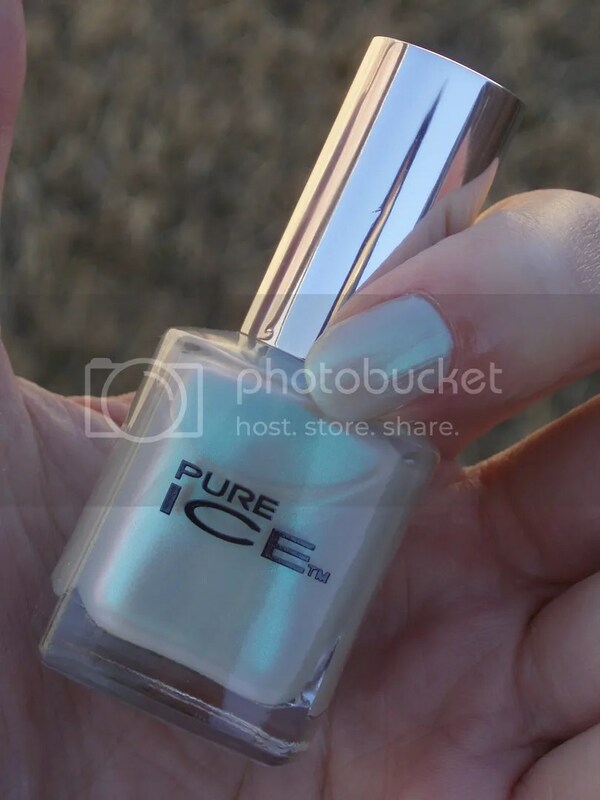 Here’s Pure Ice Mint Dream. 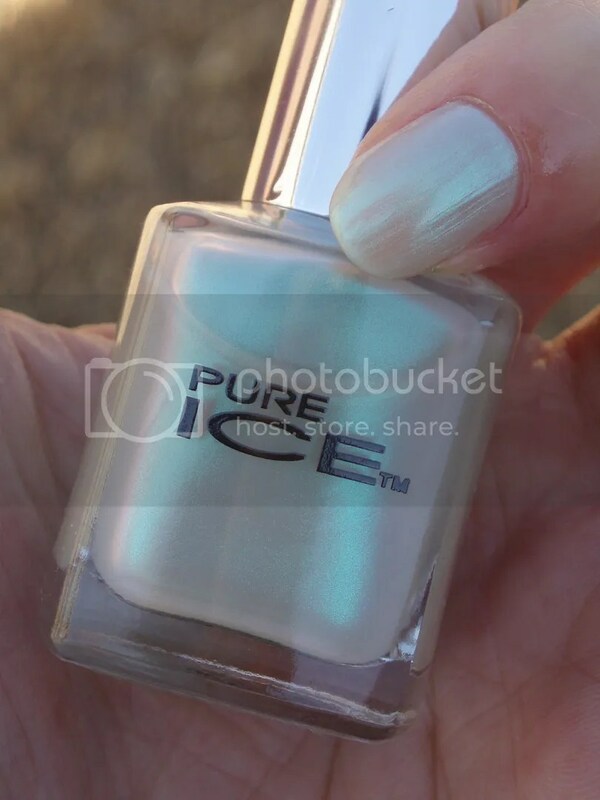 Mint Dream is this white frosty shade with a slight duochrome property. You can see the slight bluish-green tint of duochrome goodness in the shots below. I’ll revisit this shade again by layering it over other shades (not just black) to see what I can come up with. Because this shade is not extremely sheer (only slightly sheer), I would have to use a very thin coat for that purpose. Shown is 2 coats with no top coat. Any suggestions on what shade I should try layering this over with aside from black? 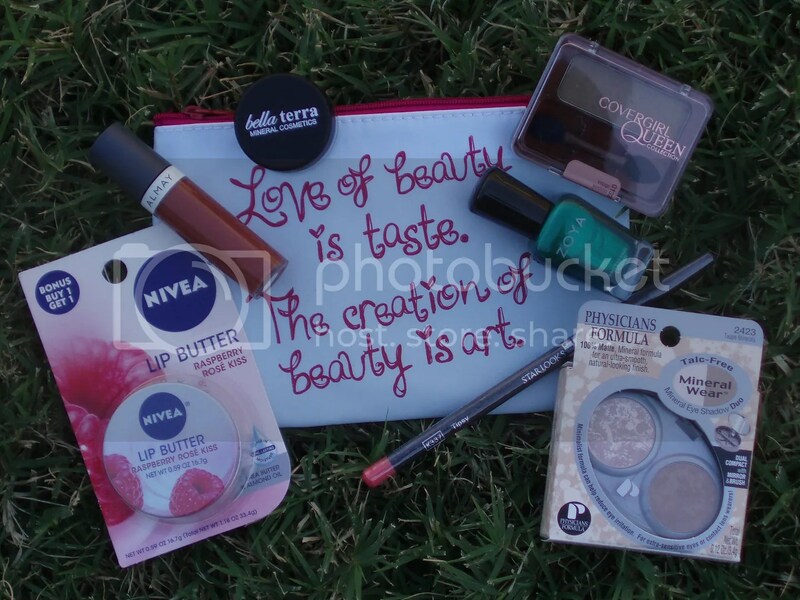 This entry was posted on January 29, 2013 by kittypolishnbags. 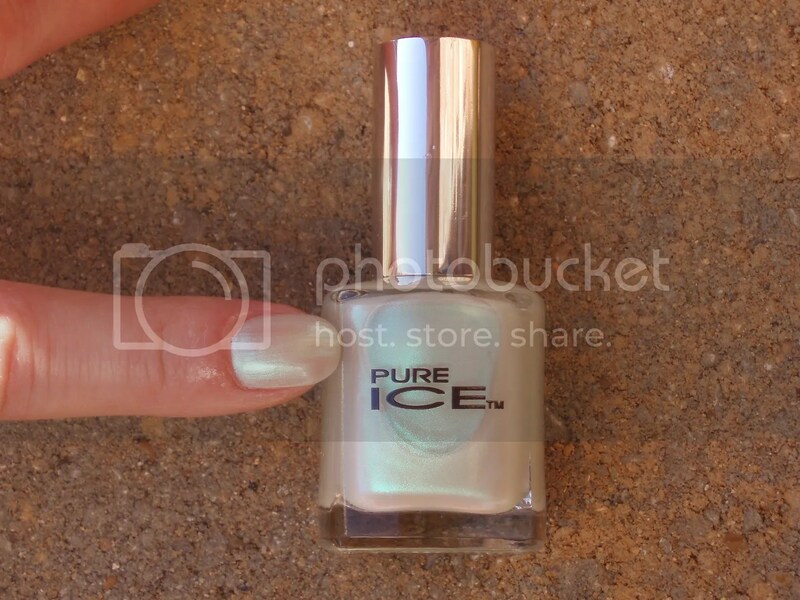 It was filed under duochrome, frost, nail polish, Pure Ice and was tagged with duochrome, frost, nail polish, Pure Ice. Those are great ideas girl! It’s just that black is so expected to layer over, you know? 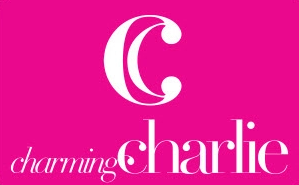 I thought I’d like to find out what other colors some of my readers would be curious to see. Let me know what you think when you do try it!